Whether you’re a fitness enthusiast or just getting started, Triletics™ CardioBands are the perfect addition to any exercise routine. The portable design, paired with our patented resistance technology, delivers the ideal cardio/strength workout that’s twice as effective, in half the time. Triletics™ CardioBands are so unique, we had to patent them. 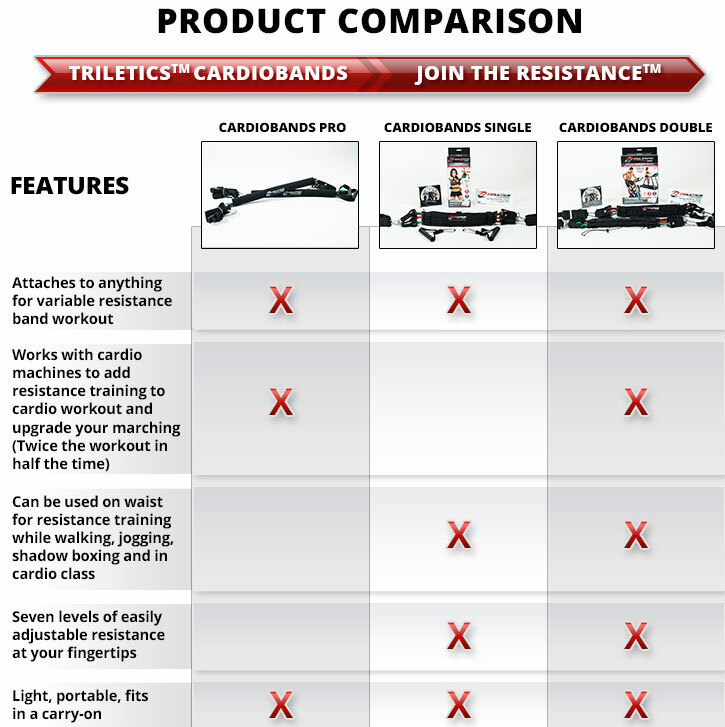 Our resistance bands hold U.S. Patent 8,317,667 - you won’t find another fitness system like this! Order our Cardio Resistance Bands today.